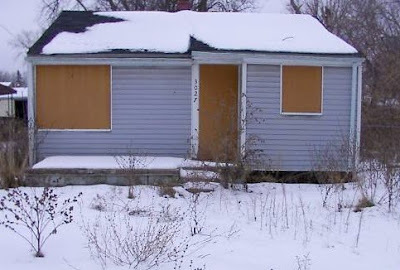 UPDATE: Here's a group of eight houses up for auction by the same eBay seller. Are the taxes current? Are the utilities connected and the basic systems in place and functional? Good roofs and windows, at least some functional insulation, no interior water damage or mold, dry basements or crawl spaces? Insulated with vermiculite, interior lead paint, sided with asbestos composite, in-ground oil tank? Etc., etc. Even if the above issues are all good...given the forward-going tax bills, the cost of minimally maintaining and securing, and the ongoing task of watching to prevent squatting, stripping, etc., all with essentially no prospects of rental revenue unless an investment greater than maybe two years' rental profit is made first...why would anyone pay money for these? It's conceivable that an abutter might want to own one, to improve their neighborhood. Perhaps an abutter might be able to make a go of a rental approach, given the advantages of proximity. But an abutter would be better off waiting for them to be turned over to the Land Bank in lieu of taxes, then buying from the Land Bank for $25. 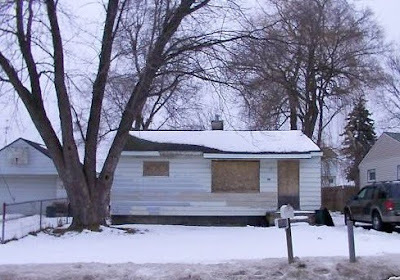 Or better yet, an abutter could wait for the Land Bank to tear down the house, clean up the lot and deal with any expensive surprises, *then* buy the lot for $25. The $4K price is just someone who was foolish enough to buy them, hoping to find an even bigger sucker. No tears for these places. As Betsy and JWilly point out, there's no sound financial reason to rehab these places with the county's plummeting population. Taxes are paid through 2008 on them, so tack $2,700 on to the cost immediately. Comparing it to old Flint Journal photographs, the style of the house on Kurtz looks suspiciously like many of the modest homes that were built as part of "Operation Tornado", when thousands of volunteers descended on the devastated Kurtz Avenue, (and affected surrounding blocks), to help families rebuild after the tragic 1953 Beecher tornado. According to the Flint Journal, the community effort, officially lasting one weekend in August 1953, led to an "All American City" award for Flint, presented by Look magazine, in conjunction with the National Municipal League. 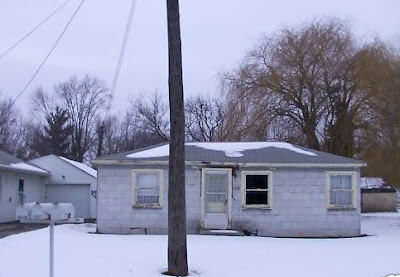 As unlikely of a candidate as it may seem to be, and as forlorn as it appears today, this home's unassuming form offers just enough of a haunting visual clue to suggest that it might have quite a fascinating story to tell, of possibly the most poignant event in Flint history. This is one of the agonizing aspects of contemplating Flint's future. The shrinking city concept makes sense given the realities of the current economic and demographic situation. 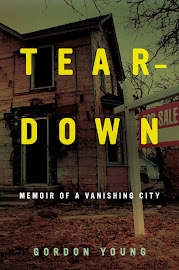 But as garyg illustrates, every house — however small and neglected — has a history. It's easy to say that there's no sound financial reason for them to exist. But it's a lot harder to accept that emotionally. Those four houses have a value of negative $20,000. 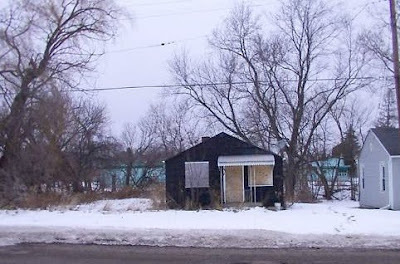 $5,000 each for demolishing and removal = vacant lot worth zero, with a negative cash flow (taxes) to boot.